Explore hidden gems such as Fort Sill National Historic Landmark and Museum and Overholser Mansion. Give yourself a bit of retail therapy at Bedre Fine Chocolate and The Rink Antique Gallery. Get out of town with these interesting Oklahoma City side-trips: Tulsa (Room Escape Games, Philbrook Museum of Art, & more), Geronimo's Grave (in Comanche) and Guthrie Scottish Rite (in Guthrie). And it doesn't end there: explore the world behind art at National Cowboy & Western Heritage Museum, appreciate the history behind Oklahoma City National Memorial & Museum, contemplate the long history of Chickasaw Cultural Center, and meet the residents at Oklahoma City Zoo. 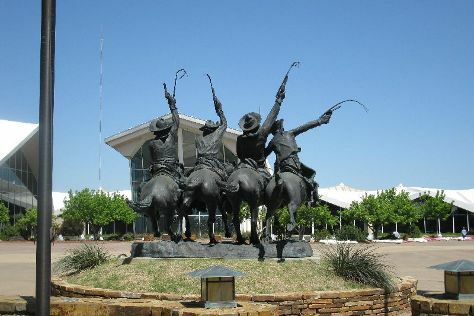 You can plan Oklahoma City trip in no time by asking Inspirock to help create your itinerary. In April, daytime highs in Oklahoma City are 71°F, while nighttime lows are 48°F. Finish your sightseeing early on the 30th (Tue) so you can travel back home.